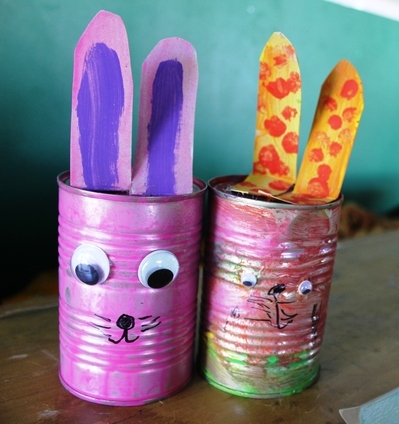 You can decorate your home for Easter without spending a fortune, with these simple rabbits made from recycled tin cans. 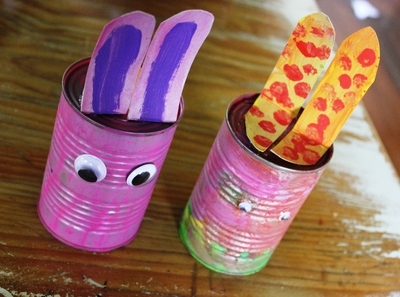 Next time you use a tin can in the kitchen, clean it out thoroughly and dig out the colored paints for this fun activity for younger children. 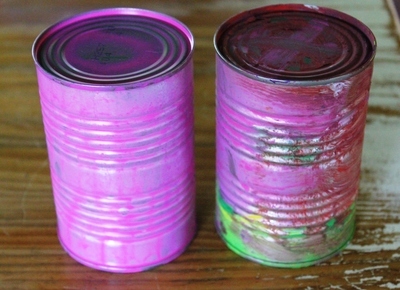 Collect some clean tin cans from the recycling bin, turn them upside down and paint them in bright rainbow colors. Allow the paint to dry completely. Cut out a pair of long cardboard rabbit ears. 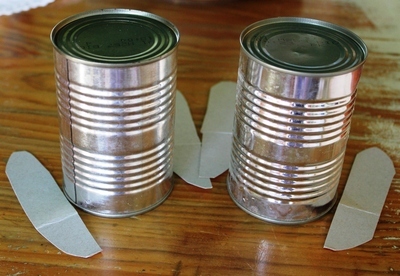 Paint these in matching bright colors, then glue them onto the bottom of your painted tins when they have dried off. 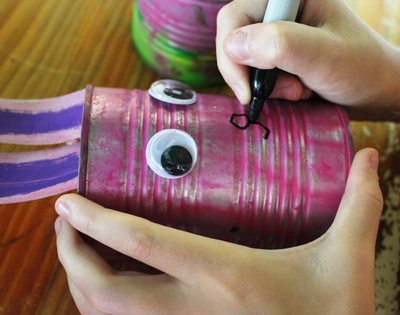 Glue on two googly eyes and draw on a cute little nose, whiskers, and mouth using the permanent marking pen. Now your recycled rabbits are ready to adorn your Easter table. 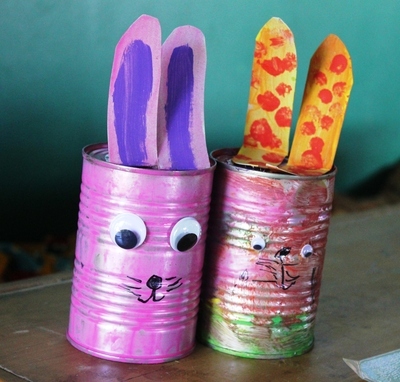 Maybe you could make a whole family of recycled tin Easter Rabbits in all the colors of the rainbow? Or Perhaps Easter bunny could hide some Easter eggs under these on Easter morning?